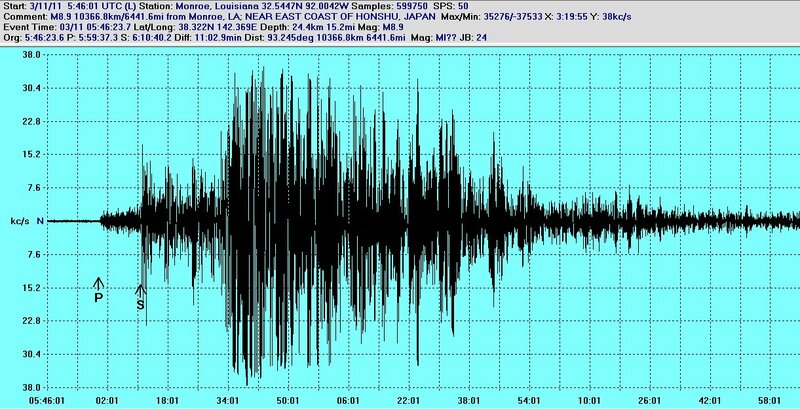 The image above depicts a live seismogram as recorded by a sensor. The seismogram above is unfiltered. Unfiltered means that normal foot traffic, road traffic, lightning discharges, strong wind, and the occasional passing train will register on the images. With training, one can be able to identify the different signatures. Processed images of events on the main page are filtered so that the abovementioned phenomena will not be shown. Small earthquakes will not likely show up on the live seismograms as they are frequently embedded in the background noise and must be filtered. This is an example of either foot traffic or a passing vehicle. Note the spikes are temporary and only last for a few seconds. Shown here are two spikes side by side. 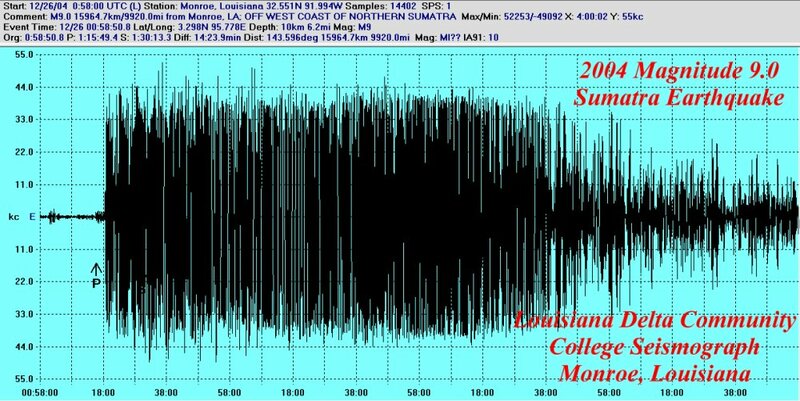 The above image is a distant quake from near the island of Sumatra. Notice the length is much longer than that of the traffic above. The above image is a regional 5.6 event near Baja California.